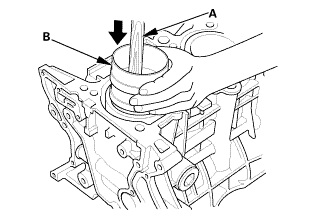 If you can feel a ridge of metal or hard carbon around the top of each cylinder, remove it with a ridge reamer (A). 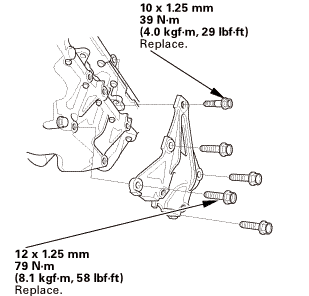 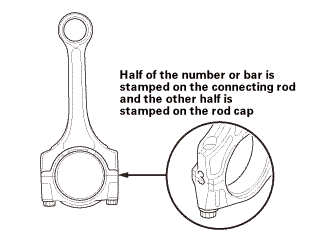 Follow the reamer manufacturer's instructions. 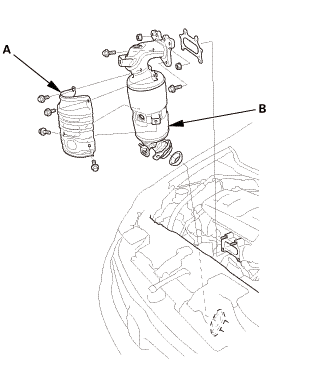 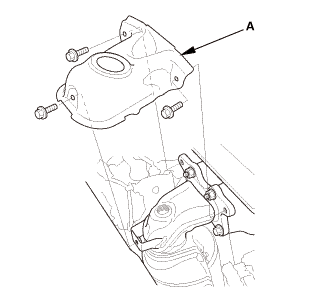 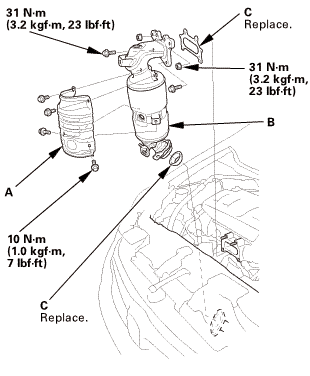 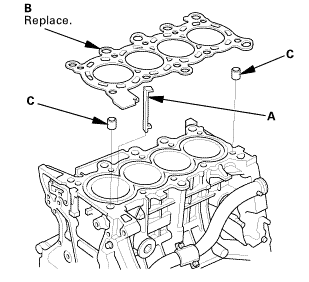 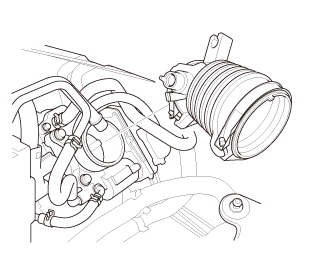 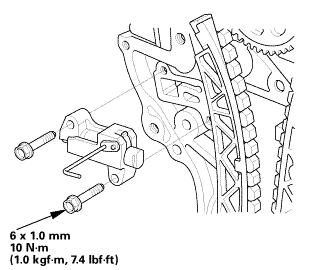 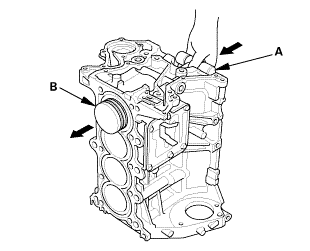 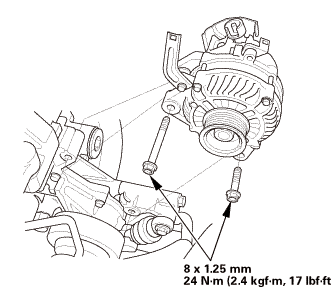 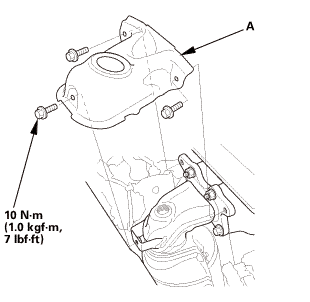 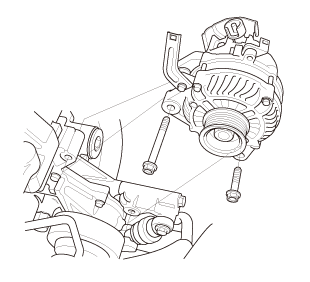 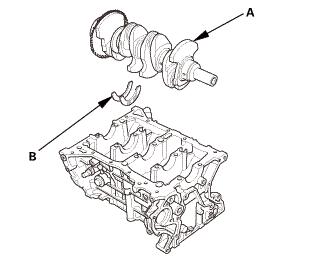 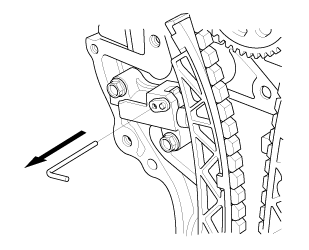 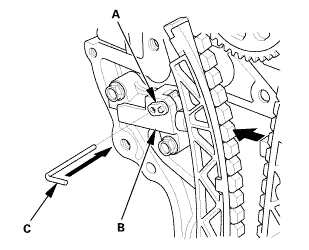 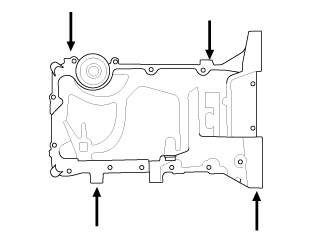 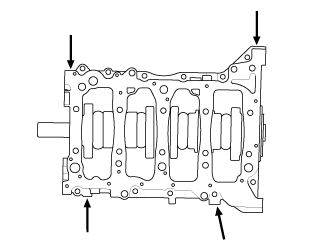 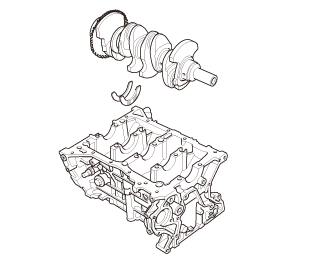 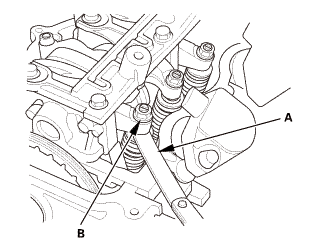 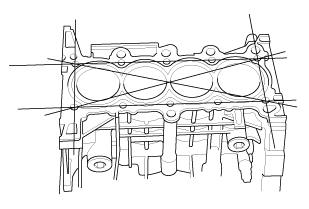 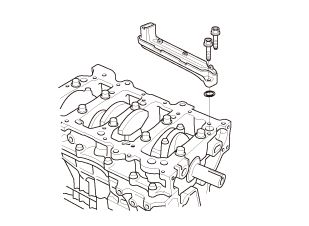 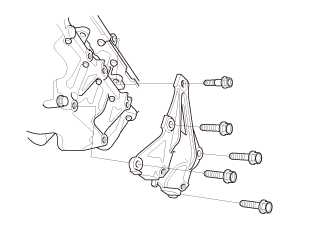 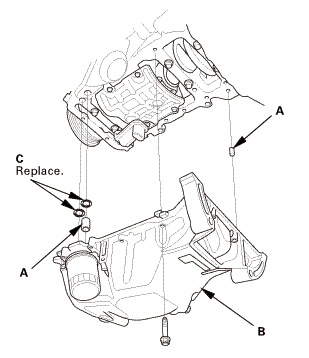 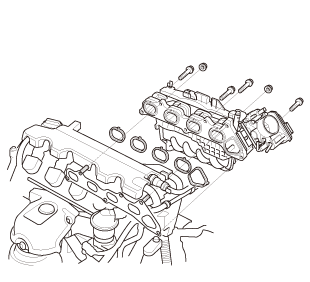 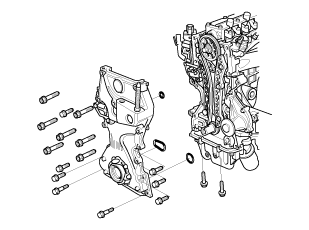 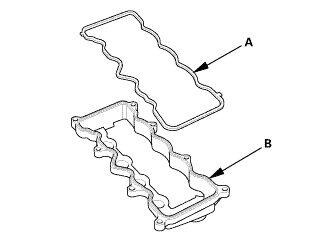 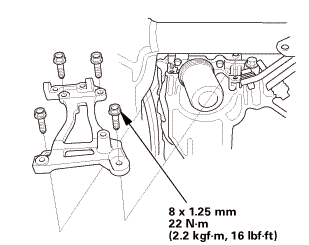 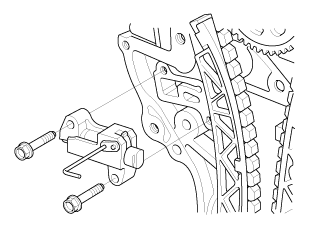 If the ridge is not removed, it may damage the piston as it is pushed out. 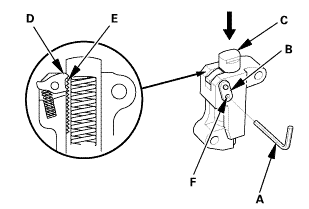 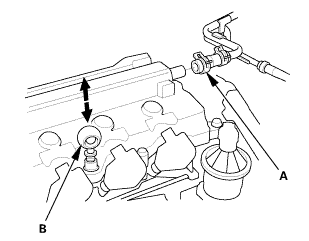 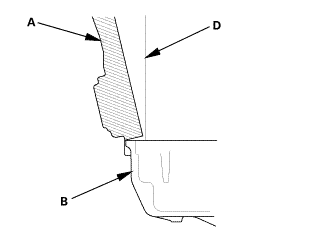 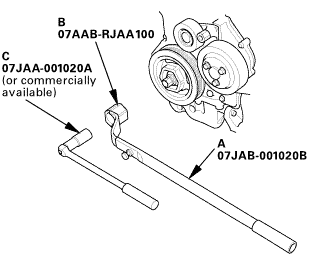 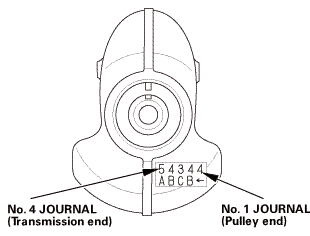 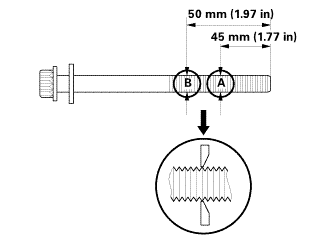 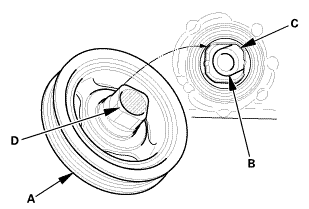 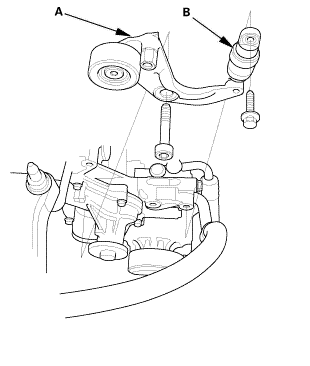 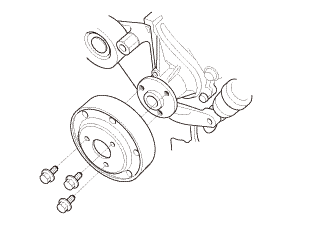 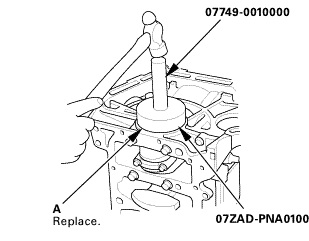 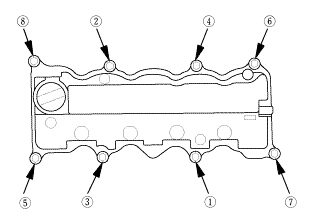 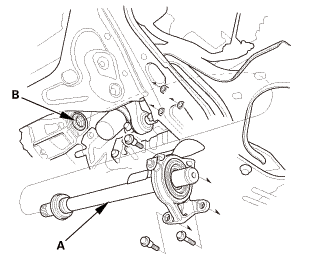 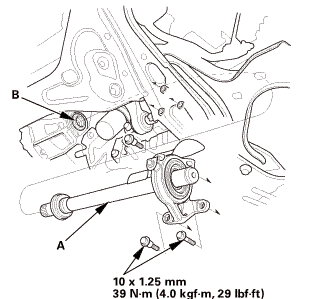 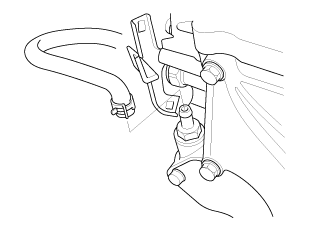 Use the wooden handle of a hammer (A) to drive out the piston/connecting rod assembly (B). 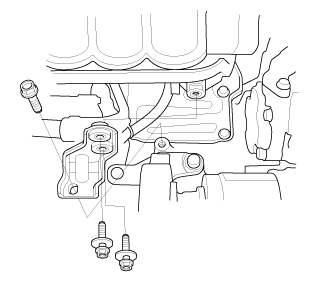 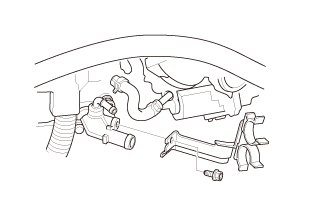 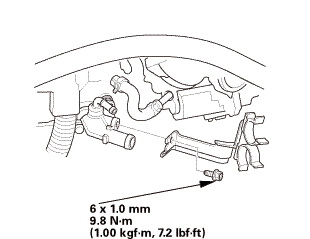 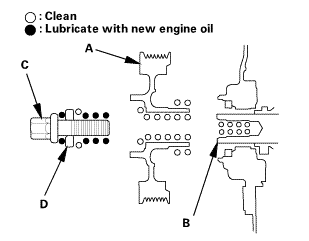 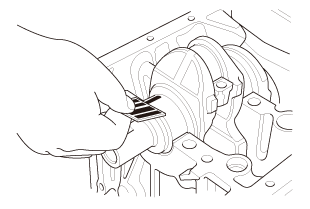 Take care not to damage the oil jets or cylinder with the connecting rod. 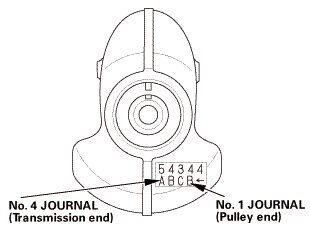 Mark each piston/connecting rod assembly with its cylinder number to make sure they are reinstalled in the original order. Check the pistons for distortion or cracks. 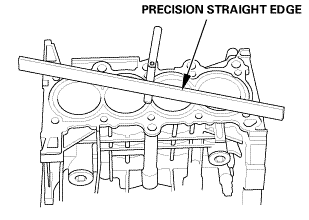 Check the pistons for distortion or cracks. 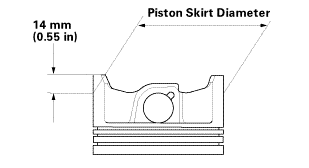 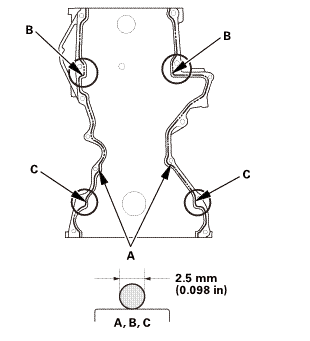 Measure the piston skirt diameter at a point 14 mm (0.55 in) from the bottom of the skirt. 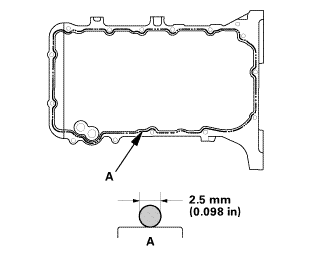 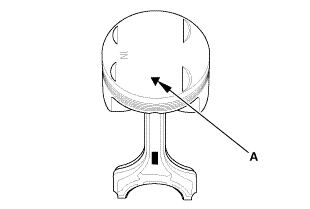 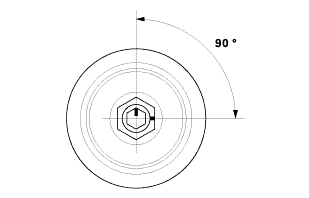 Measure the wear and taper Y at three levels inside each cylinder as shown. 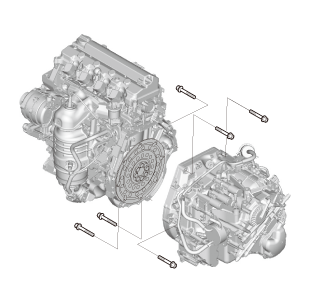 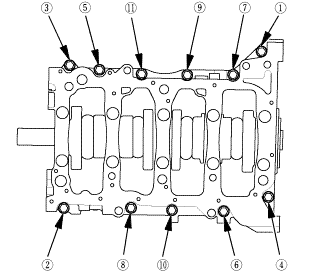 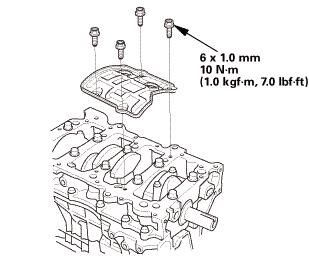 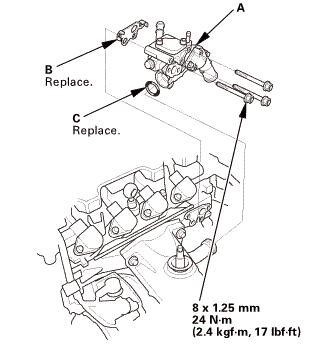 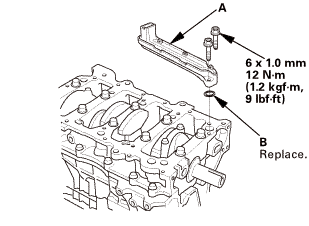 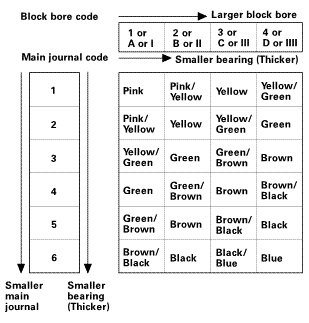 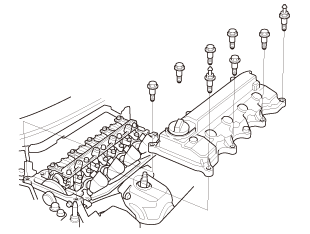 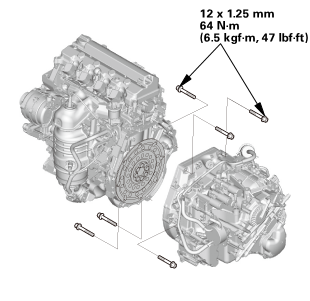 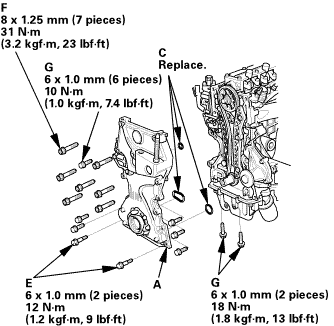 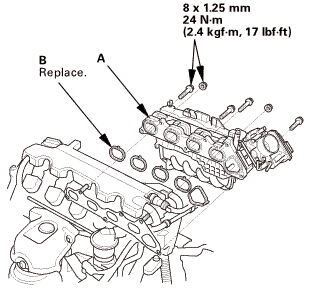 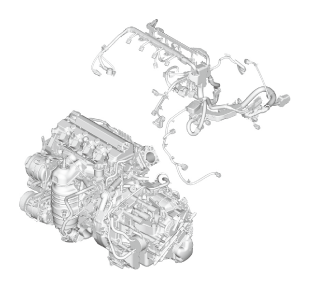 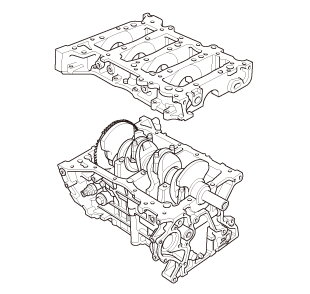 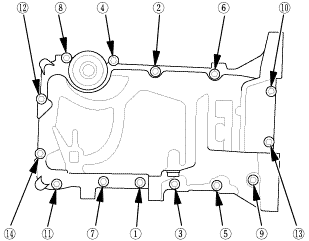 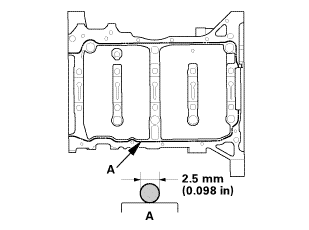 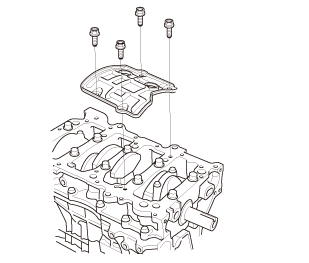 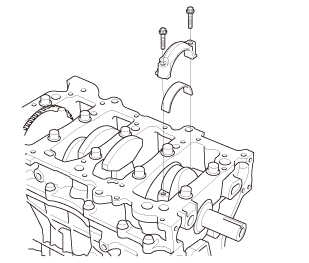 If measurements in any cylinder are beyond the oversize bore service limit, replace the engine block. 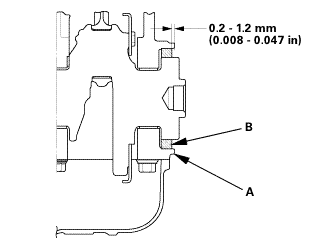 0.25 mm (0.0098 in) max. 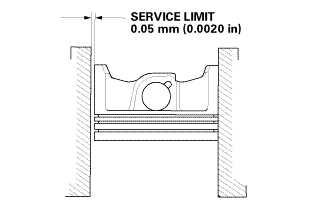 Hone any cored or scratched cylinder bores if needed. 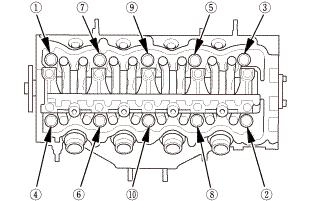 Check the top of the engine block for warpage. 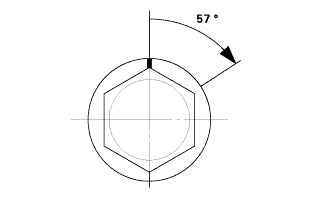 Measure along the edges and across the center as shown. 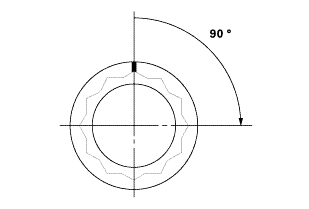 0.07 mm (0.0028 in) max. 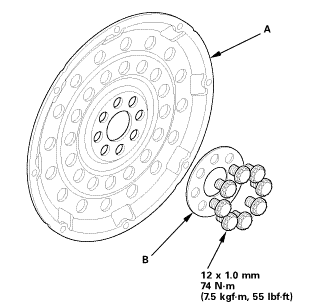 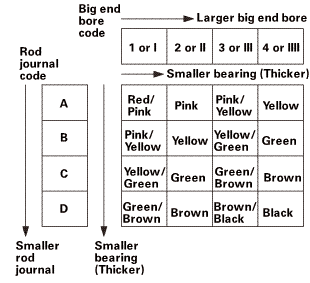 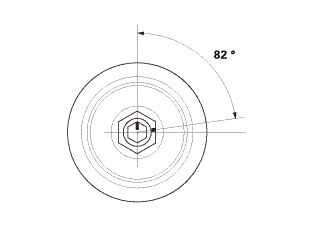 Calculate the difference between the cylinder bore diameter and the piston diameter. 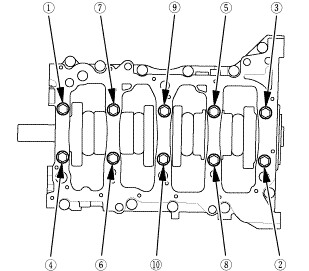 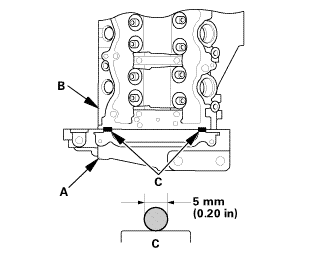 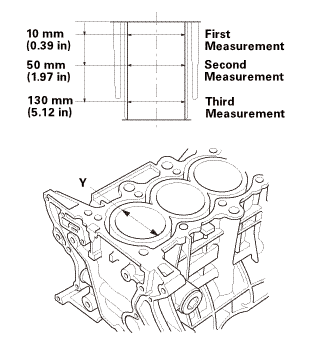 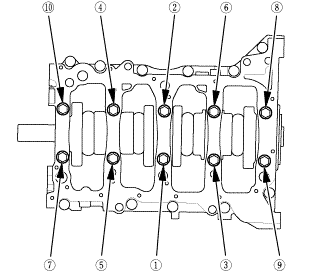 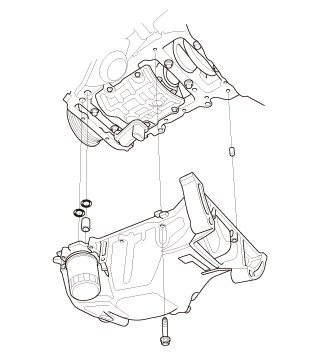 If the clearance is near, or exceeds the service limit, inspect the piston and the cylinder bore for excessive wear. 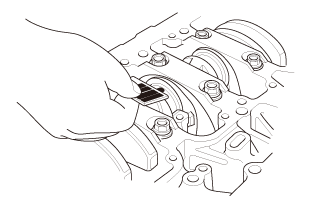 Remove the connecting rod caps, then install the ring compressor. 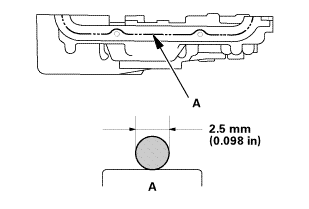 Check that the bearing is securely in place. 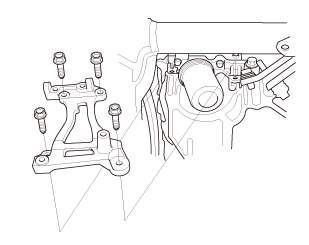 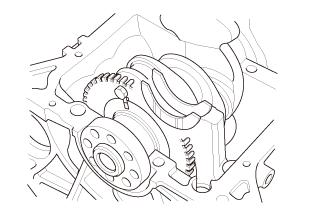 Apply new engine oil to the piston, the inside of the ring compressor, and the cylinder bore, then attach the ring compressor to the piston/connecting rod assembly. 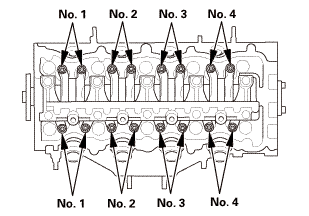 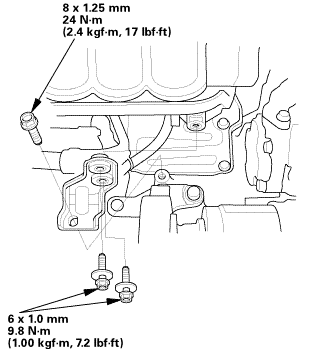 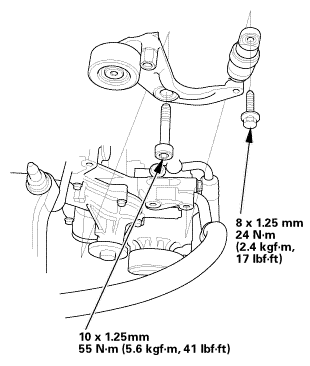 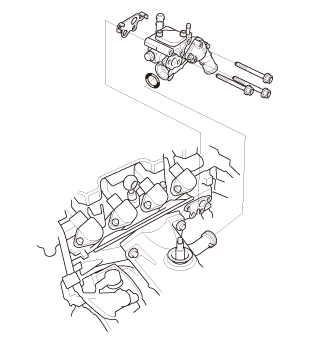 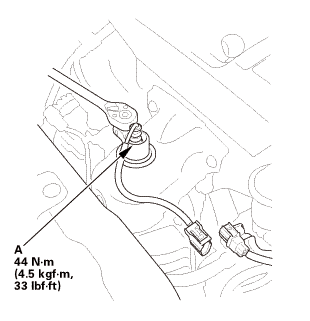 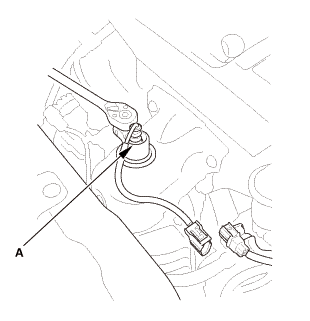 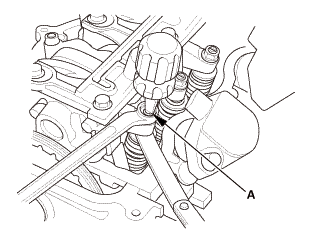 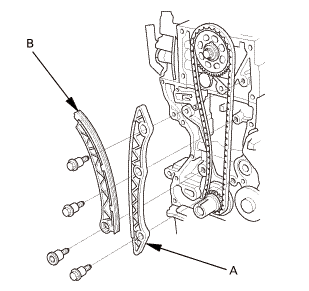 Position the mark (A) to face the cam chain side of the engine. 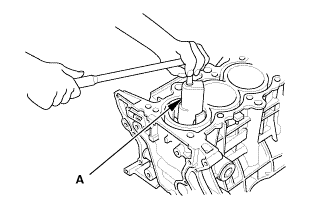 Position the piston/connecting rod assembly in the cylinder, and tap it in using the wooden handle of a hammer (A). 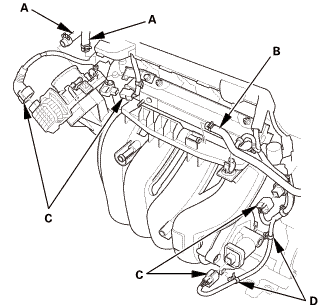 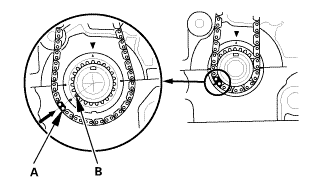 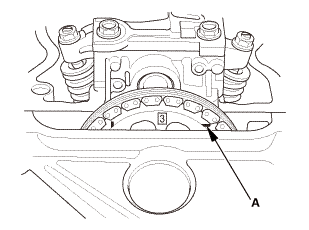 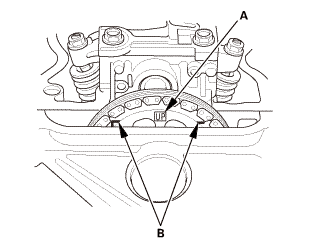 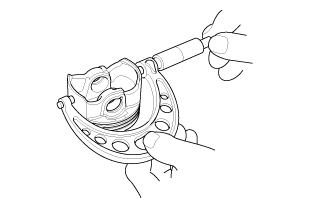 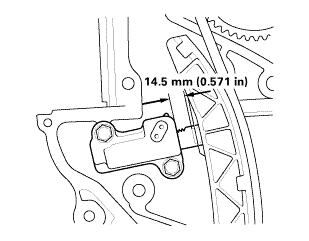 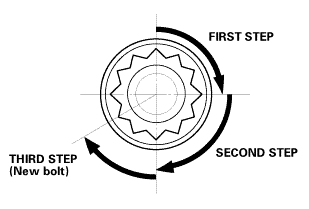 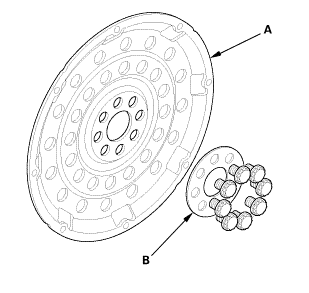 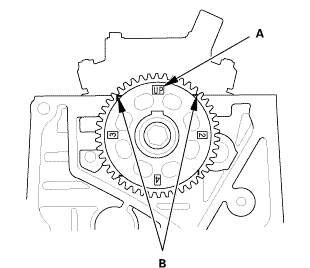 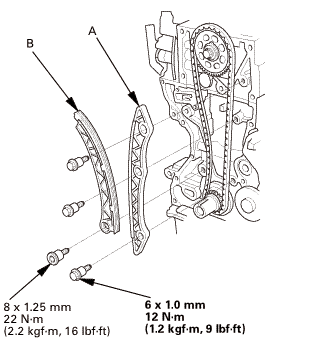 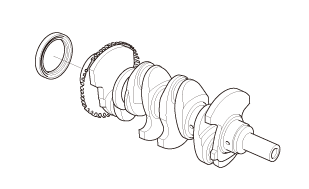 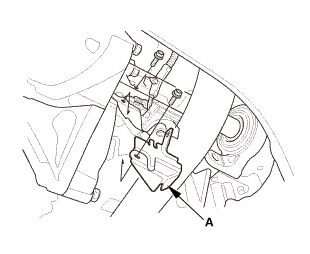 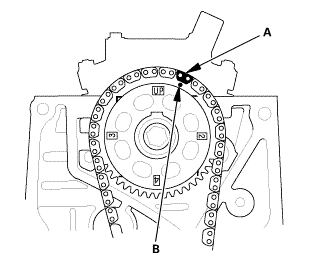 Push down on the ring compressor (B) to prevent the rings from expanding before entering the cylinder bore. 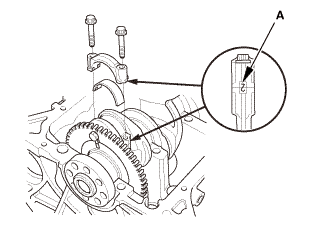 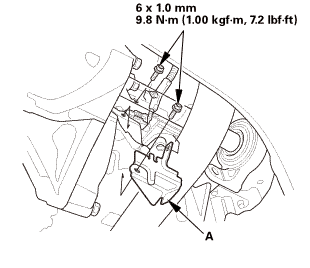 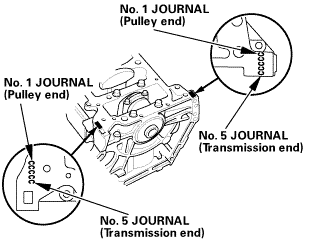 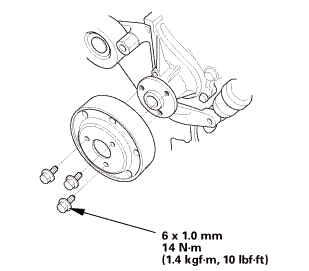 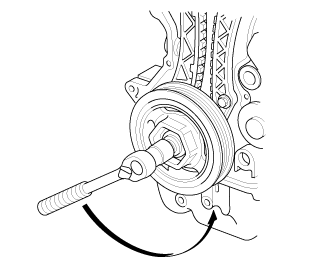 Stop after the ring compressor pops free, and check the connecting rod-to-rod journal alignment before pushing the piston into place.